From shopping centres to industrial facilities and warehouses, our commercial doors are a great solution for multiple uses in Sydney. 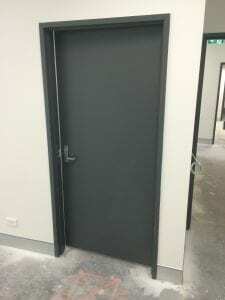 At Spartan Doors, we manufacture high-quality commercial doors that are ideal for customers who have specific requests for their facility or a building project requiring commercial doors in Sydney, New South Wales. We are equipped to accommodate customers who need commercial doors that are not standard size, as well as durable, long-lasting doors that provide function and security in a variety of applications. Whether your customer needs multiple doors or has a request for a customised commercial door, you can rely on us ay Spartan Doors to supply you with the doors and hardware needed. From shopping centres to industrial facilities and warehouses, our commercial doors are a great solution for multiple uses. Our skilled engineering and manufacturing quality set us apart when you are looking for commercial doors to meet your clients’ needs. Whether you are a retail distributor or a construction development site manager, or if your customer is an architect looking for commercial doors, you won’t be disappointed with the customisable options and design flexibility of our commercial doors. In addition, we manufacture commercial door frames that are a well-suited match for the style and finish of industrial or commercial building applications. There is no need to sacrifice safety or security when installing our commercial doors, and with our quick turnaround times and reliable packaging, your customers will be able to complete their projects efficiently. Our team at Spartan Doors is equipped to assist you when you need to supply your customers with doors, frames and hardware. Contact us today for more information. Here at Spartan Doors, we provide the highest quality commercial doors to help increase security at your home, office, or warehouse in Sydney, Newcastle, Melbourne, and Brisbane, Australia.